2. Finely slice 2 onions across the shorter length of the onion by firstly cutting it in half. 3. Finely grate the ginger using a cheese grater. If you don’t have one, blend/grind the ginger for the same effect. 4. In a non-stick pan, fry the onions in 2 tablespoons of cooking oil until they turn nice and brown. Some people like to use ghee (clarified butter) but I think it’s unnecessary and unhealthy, so let’s work with the healthier version. 5. Add the salt and the coriander as indicated above and stir for 2 minutes. 6. 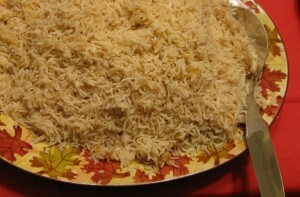 Add the rice and continue to stir until the rice starts to dry up a little. 7. Add the grated ginger, 2 bay leaves, 2 cinnamon sticks, and 2 cardamoms. Stir well for 2-3 minutes. 8. Estimate the amount of water you need to add by adding enough to cover the rice and allowing for at least 2 and 1/2 inches of excess water. 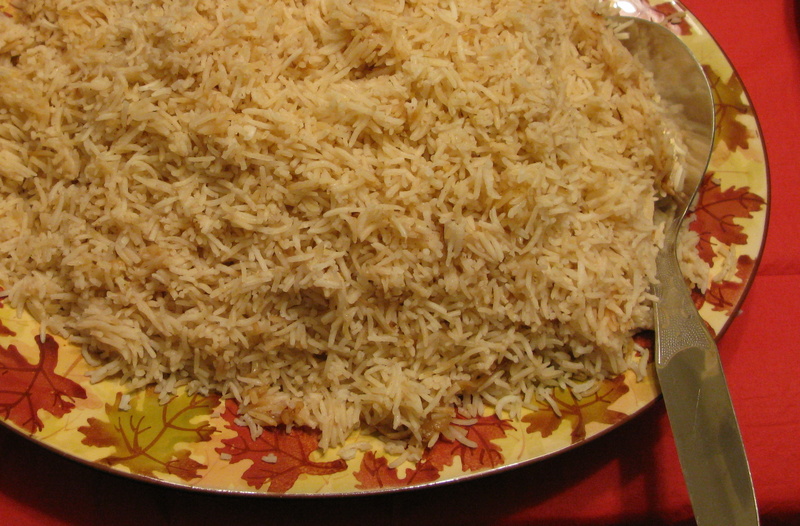 You don’t want to add too much as pilau should not be soggy. Neither should it be crunchy if too little water is added. 9. Stir once and put the lid on. Let simmer on low heat for atleast 15 minutes until all the water has evaporated. Do NOT stir the rice again. Remove from heat when done. 10. 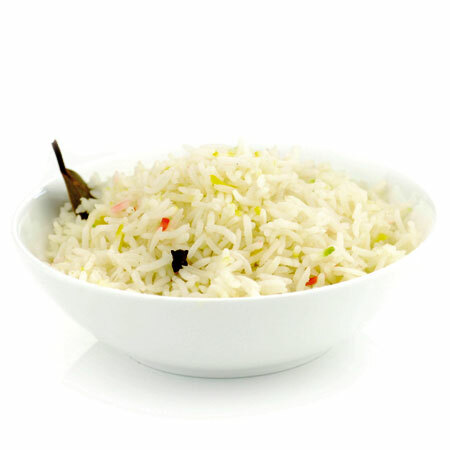 Optional – if you want to add a bit of colour to the rice, go ahead and add a drop or two of food colouring. Red, yellow and/or green are generally used. Do not stir. Stir lightly when serving to mix in the colours. Recommendations: Enjoy with Chicken Korma or Bangla Roast and a side salad. Sister! when do you add the garam masala? Shahin, sorry for delayed response. You can add the garam masala at number 5. Thanks for browsing.